The All Creatures Animal Clinic team of skilled veterinarians welcomes you to our practice. Proudly serving the Phoenix and Paradise Valley areas. At All Creatures Animal Clinic, it is our daily privilege to provide quality vet care to your cherished pet, with compassion and competence. We hope to ensure a positive impact on our patients, pet owners and the local community. Dr. Irvin Ingram, the founder of All Creatures Animal Clinic, graduated from the University of California with his DVM (1972) and Masters Degree (1973). He has practiced in Arizona since 1973 and in 1987 he started All Creatures Animal Clinic. 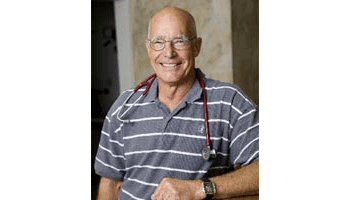 Dr. Ingram has served on many veterinary committees, including being the director, officer and president of the Arizona Veterinary Medical Association. He is currently an alternate on the Arizona Veterinary Medical Examining Board as an Investigation Committee member. In 2002, Dr. Ingram was honored as the Veterinarian of the Year by the Arizona State Veterinary Association. He is most proud of his marriage to his wife Shar and their three children: David, a University of Arizona graduate; Kris, a practicing veterinarian; and Wendy, a post-graduate PhD student at the University of California at Berkeley doing work in Peru. All three have traveled to Nicaragua as a part of the HERO organization to work with human healthcare personnel on medical missions. Dr. Irv and Dr. Kris also share their love of animals through travels to Africa, Tibetan refugee camps in India, and our own Hopi and Navaho Indian Reservation to vaccinate and alter dogs and cats. Although he is beginning to reduce his work schedule, Dr. Irv still loves the challenge of veterinary medicine. Dr. Robert Matyjaszek is originally from Michigan and received both his undergraduate and veterinary degrees from Michigan State University. Prior to joining the All Creatures Animal Clinic team, Dr. Matyjaszek worked in Florida and in Flagstaff at small animal practices. He shares his home with his wife, toddler, two dogs, and a cat. Dr. Bob enjoys hiking, jogging, teaching veterinary students, and spending time with his family. Dr. Nichole Hooper grew up in south Florida. She earned both her undergraduate and veterinary degrees at the University of Florida in Gainesville. Following graduation, she completed two internships, the first year in small animal medicine and surgery and the second in emergency and critical care medicine. Dr. Hooper then furthered her training with a three-year residency in emergency and critical care medicine. 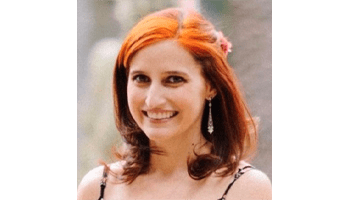 Outside of work, she enjoys spending time with her husband, two daughters, three cats and their dogs, Gus and Kai. 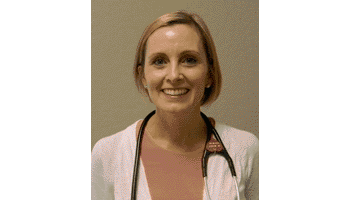 Dr. Holly Rice received her undergraduate degree from West Virginia University in 2005 and her veterinary degree from Louisiana State University in 2009. She has happily lived in Arizona since 2012. 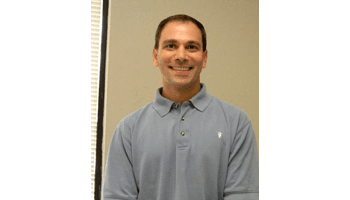 Dr. Rice has primarily worked in private small animal practice but also became adept at high quality/high volume spay and neuter procedures, and was the head of a hospital for several years. Her special interests include preventive medicine, soft tissue surgery, dentistry, dermatology, pain management, nutrition, geriatric/end-of-life care, and compassionate euthanasia. She prides herself on providing personalized individual care to each of her patients, treating each as her own. Dr. Rice has a soft spot for adopting older dogs and has two English Labradors. Dakota came from a shelter in Las Vegas and Moon from bad conditions in South Korea. She also has a young grey cat named Kyau (her first cat ever! ), but she loves all animals. In her free time she enjoys live music shows, working out, cooking, hiking, scuba diving and snorkeling, and traveling. 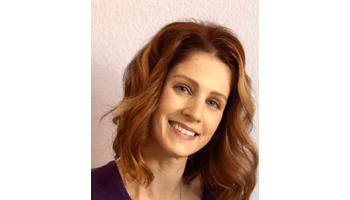 Dr. Cara Wynne received her undergraduate degree from University of Idaho in 2002 and her veterinary degree from Washington State University in 2009. She has happily lived in Arizona since 2011. Dr. Wynne has primarily worked in small animal practice but also did a two- year internship at an exotics only hospital in Washington. Her special interests include exotic and wildlife medicine/rehabilitation, preventive medicine, soft tissue surgery, dentistry, dermatology, pain management, physical rehabilitation, geriatric/end-of-life care, and compassionate euthanasia. She prides herself on providing personalized individual care to each of her patients, treating each as her own. Dr. Wynne loves spending time with her two dogs, Sophie a 10 year-old chihuahua and Caillen a 5 month-old Golden Retriever. She also has 4 cats, fish and a quaker parakeet. In her free time she enjoys working out, baking, hiking, football and traveling.